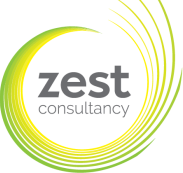 We are a small, very friendly sales and customer experience consultancy with big aspirations. We are winning lots of new SME clients and need a couple more great people to join our growing team to help us fulfil our telemarketing contracts. We are based in Eastleigh, with plenty of parking! We have a really cool office and embrace working in a relaxed, informal environment. We need two more really great full-time telemarketers to join our fun and friendly team. Here’s what you’ll be doing; generating new business on behalf of our clients by making outbound conversational calls (a solution selling approach) to both new and existing clients. Sometimes you may be working on multiple projects in any number of industries, within the B2B sector. Having the ability to juggle (not literately) and work in a fast-paced environment is key. The role will involve a mix of warm leads, cold calling, researching, appointment generation, signing up delegates to seminars, filling exhibition space and occasional customer experience telephone surveys. Meeting targets and reporting on your results. You must have experience of using CRM systems.